Hundreds of couples are claiming false marital and relationship status to rort millions of dollars from Centrelink. In one case a couple claiming to be separated but who were living under the same roof were found to be lying when they announced on Facebook they were expecting a baby. 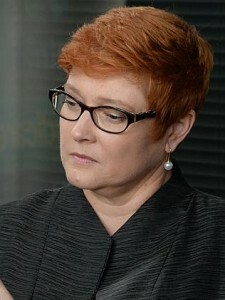 “Welfare recipients who deliberately fail to declare a new or existing relationship to the Department of Human Services are breaking the law,” Minister for Human Services Marise Payne said. Last year, 634 people were ordered to pay back $7 million after they were caught falsely declaring their relationship status to get additional payments from Centrelink. “The consequences of welfare fraud are serious. Sentences can include jail time and people will be forced to repay the benefits they were not entitled to,” Ms Payne said. Investigators last year conducted 120 investigations into people suspected of being an undeclared member of a couple and 16 were referred to the Commonwealth Director of Public Prosecutions. Half have gone to court. Rorters are also going online and coaching others on what forms to fill out and what to say in order to claim the extra benefits that go with being separated but living under the same roof. Tania Sharp was living in the same house with Darren O’Brien, the father of her two youngest children, but was claiming a single parenting payment because she said they were not a de facto couple. Four months later Centrelink cancelled Ms Sharp’s single parenting payment on the basis they were a couple. Ms Sharp made several appeals against the decision, arguing the pregnancy was the result of a one-night stand with her ex-partner. Administrative Appeals Tribunal member Regina Perton said the Facebook messages about the pregnancy “all seem to point to a desired baby that both her parents-to-be were excited about”. Unlike with their first child, Mr O’Brien also attended the birth of the baby girl. Ms Perton said Ms Sharp’s claims to be financially independent from Mr O’Brien were also not as clear cut as argued.